Connect, collaborate, and learn with other PBS LearningMedia educators. Register Now Register with PBS Learning Media and you'll join a community of over 1 million educators impacting their classroom with digital technology. By registering with PBS LearningMedia, we'll also keep you in the loop on the latest news, upcoming webinars, and new content and resources being added daily. Learn how you can use PBS LearningMedia more effectively in your everyday instruction. 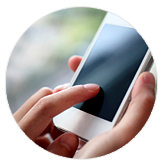 Our staff has put together a series of video tutorials that provide an overview on everything from searching and browsing to building interactive quizzes and lesson plans. Check out the Events page for information on upcoming in-person events and webinars with celebrated PBS personalities and educational thought leaders. Each year, PBS LearningMedia selects a diverse group of tech-savvy educators from across the country for their passion and committment to innovative teaching practices that integrate digital media and technology in the classroom. Check out the program and meet this year's innovators. 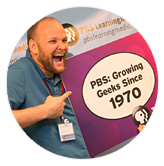 Discover why educators across the country are using PBS LearningMedia in their classroom! PBS loves teachers. 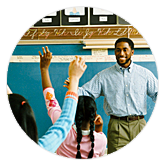 Through a portal that offers free digital resources (PBS LearningMedia) and PD courses (PBS TeacherLine), PBS helps you transform learning. © PBS & WGBH Educational Foundation. All rights reserved.